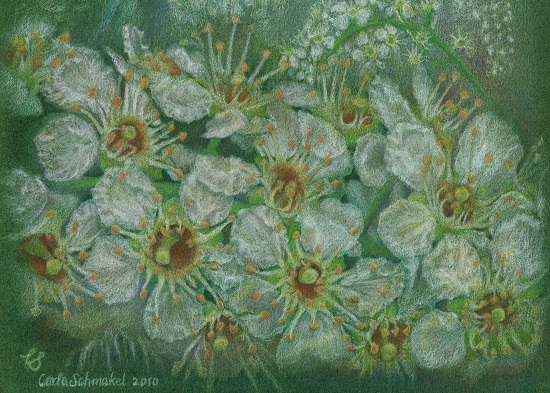 The Nature Artists’ Guild of The Morton Arboretum’s 2014 Spring Exhibit Featured Artist, Carla Schmakel. It is a privilege to serve as the featured artist for the Nature Artists’ Guild of the Morton Arboretum Spring 2014 exhibit. This is only the second time I have had the opportunity to display a larger group of pieces, which I am very pleased to show here. 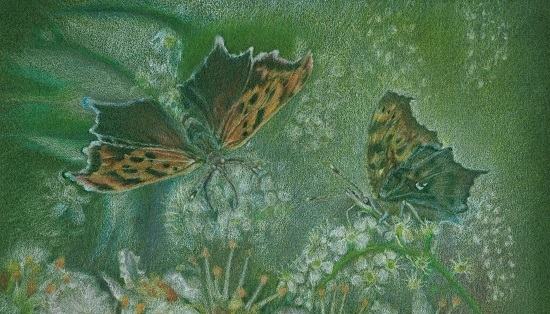 I first picked up a pencil to draw, in our habitat restoration, in 1999. After the first six years of planting native species, I decided to try drawing what I had been studying. The artistic qualities of the plant forms beckoned. My training as a professional musician had given me insights into my creative process, but the new experience of rendering nature was allowing me another artistic avenue to explore. Art is vitalizing. It is also motivating. I acquired a copy of Drawing on the Right Side of the Brain by artist-educator Betty Edwards and proceeded through her mind-opening exercises with a sense of discovery. Then, I turned to the Morton Arboretum education program in 2000 where my first ever drawing teacher was Kathleen Tomasek. In both the art illustration and naturalist courses I studied with artists, scientists, naturalists, and conservationists, completing the Botanical Art Illustration Certificate in 2002. Joining the Nature Artists’ Guild in 2001 encouraged me to attend the group’s many informative and delightful presentations and to show my art in many of the Guild exhibitions since then. 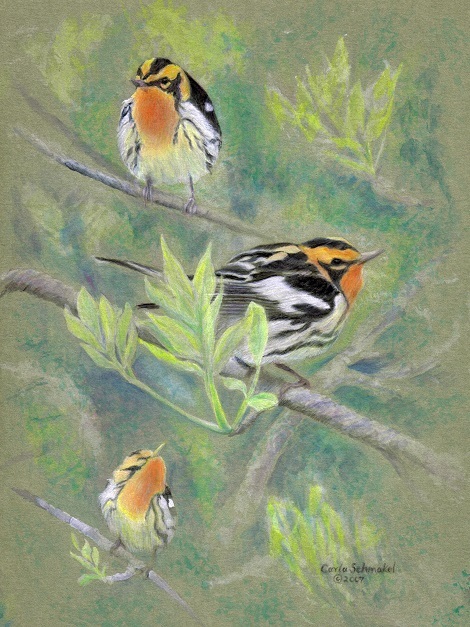 Other activities that provide experience and context for my art include surveying for the Bird Conservation Network, the Illinois Butterfly Monitoring Network, and the Illinois Beach State Park Hawkwatch. These keep me in touch with all manner of flying beings, a favorite interest of mine, from insects to birds. When I go out to count, conservation friends often walk with me and say that these kinds of activities keep them from having nature-deficit disorder. I know what they mean. Natural environments provide a ready source of comfort, detail, inspiration and wholeness. And the process of creating art from these experiences provides a personal sensory reference set to draw on. 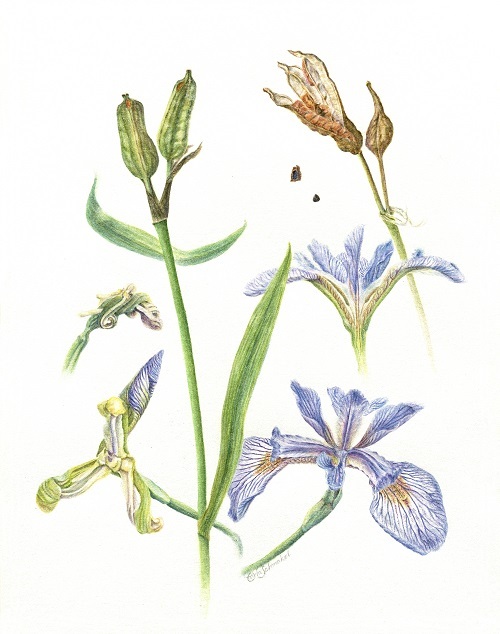 From NAG members I learned about and joined the Guild of Natural Science Illustrators and the Reed-Turner Botanical Artists’ Circle of the ASBA. These organizations offer exhibit opportunities that motivate and extend the learning curve. Some exhibits in which I have participated include Species Affected by Global Warming, Exploring Trees, and Indigenous peoples use and understanding of native plants. My work has been juried into local and national venues including the Arizona-Sonora Desert Museum, Chicago Botanic Garden, Fernwood Botanical Garden, Kenosha Public Museum, Brushwood Center at Ryerson Woods-Lake County Forest Preserve, Peggy Notebaert Nature Museum, Schingoethe Center for Native American Cultures-Aurora University, and here at the Morton Arboretum. 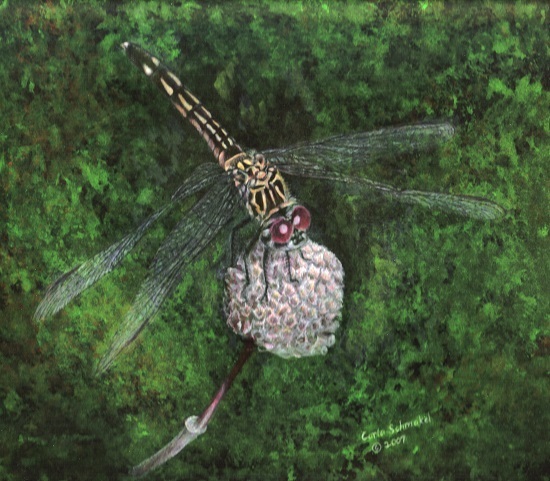 Independent juried exhibits include two NY State Museum- Focus on Nature exhibits and catalogs; bird art for the Illinois Audubon Society member quarterly; Pollination: Evolving Miracles at the Atrium Art Gallery-University of Southern Maine, Lewiston-Auburn College; and the Robert T. Wright Community Gallery of Art, College of Lake County, Grayslake-“recent works”. The associations through natural history art are rewarding; sharing ever more precious experiences and engaging with others who cherish the natural world and its phenomena.